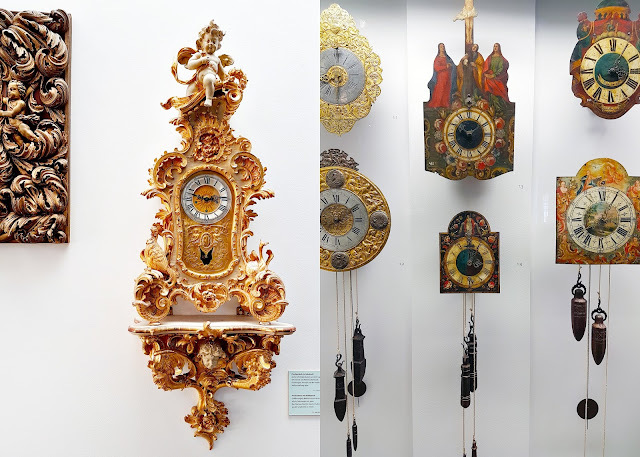 If the Black Forest region of Germany is famous for something, it has to be it's cuckoo clocks! We wanted to learn more about the history of clock-making in the region so we drove to the town of Furtwangen to visit the German Clock Museum. The morning view from the airbnb. Promising such a lovely day!! 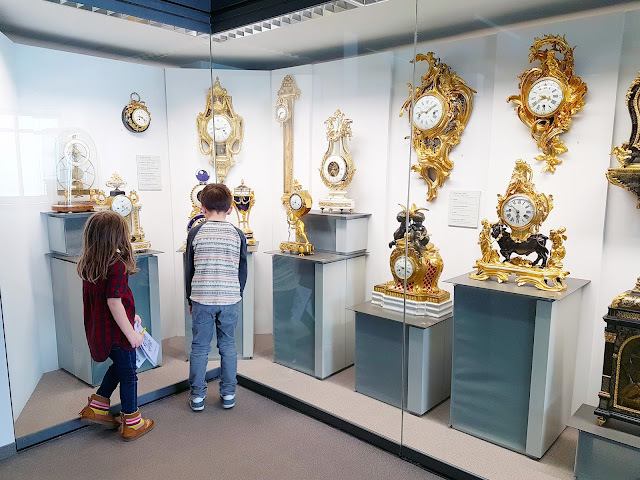 Starting with Stonehenge (which is thought to be a celestial calendar) and early sundials, the exhibit takes in the full breadth of of timepiece history. 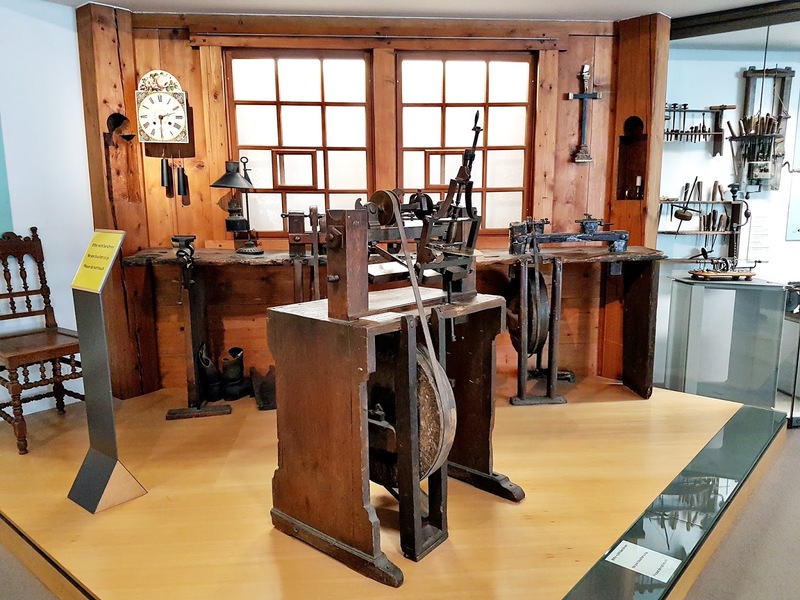 Black Forest clockmakers achieved a breakthrough when they simplified the timekeeping mechanism so that it could be built almost entirely of wood, allowing the clocks to be sold at a much lower price. 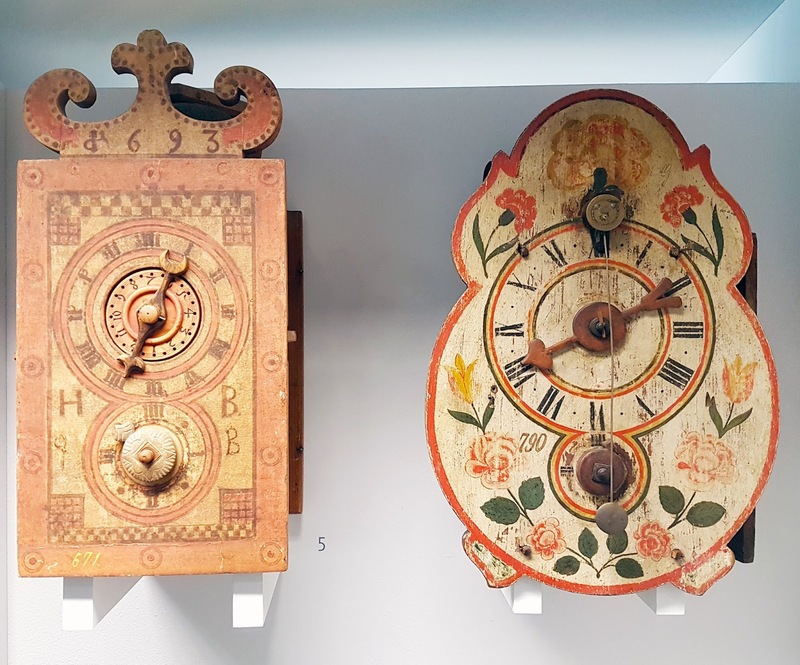 The museum traced the evolution of these clocks from rough-hewn wood to delicately painted white lacquer faces and into the famous cuckoo style that we all know today. This lead to a worldwide boom in clock sales. Between 1800 and 1850 alone, 15 million Black Forest clocks were sold around the world. 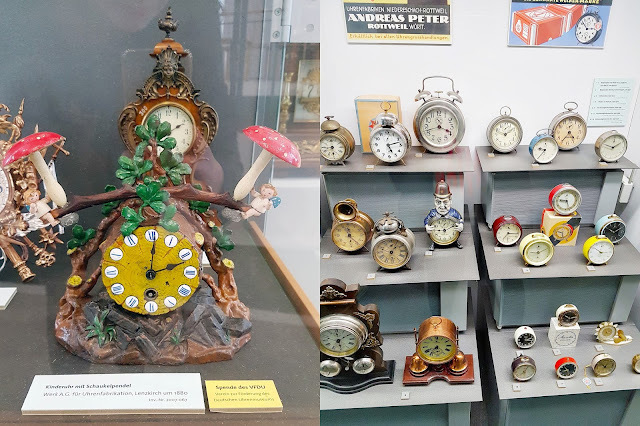 The exhibit was exclusive about Black Forest clocks, but also looked at clocks from other countries such as these fancy schmancy ones from France. This gigantic Astronomical World Clock by August Noll was fascinating. 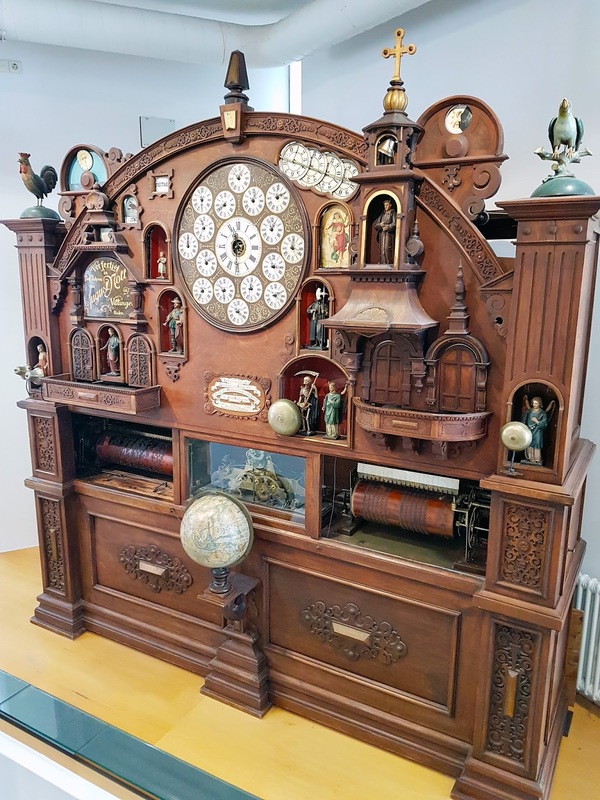 It showed the time in several different time zones and has a scene of Jesus blessing the 12 Apostles who shuffle past on the hour. 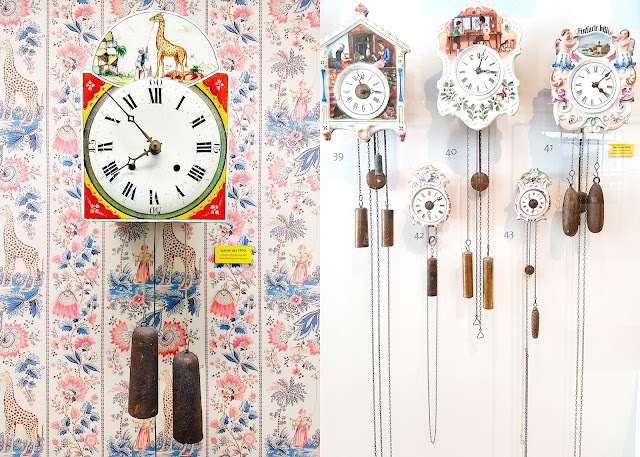 Clocks of every type, size, shape, and color. 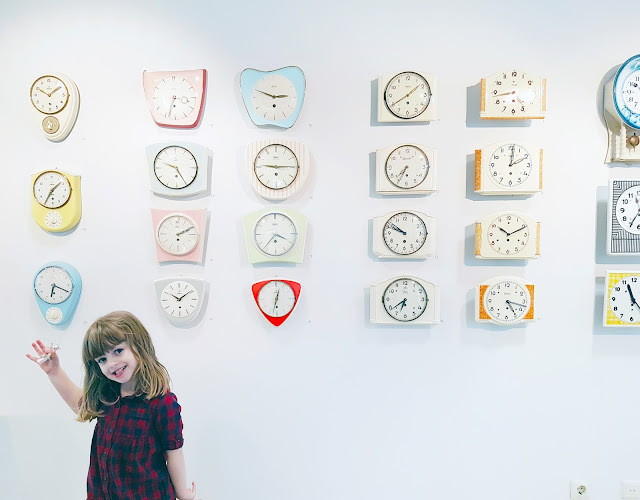 Jane in front of some awesome midcentury modern clocks. We had a great time... get it? One of the most fascinating exhibits explained how faster and faster transportation in the late 19th century brought about the need for standardized time across locales. In the past, each town used its own local solar time. 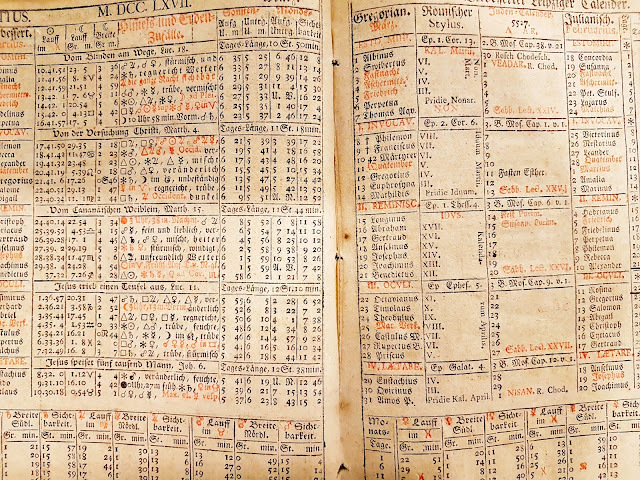 As the railroad advanced, this made a wreck of train schedules and connections since different towns and countries were all a few minutes off from each other. When the telegraph was invented, that cemented the need for the world's clocks to be in sync. In the 1870s, scientists finally pursued standardization leading to the creation of the prime meridian as a starting point for the world's time zones in 1884. Isn't it crazy to think that TIME as we know it was only standardized in 1884? 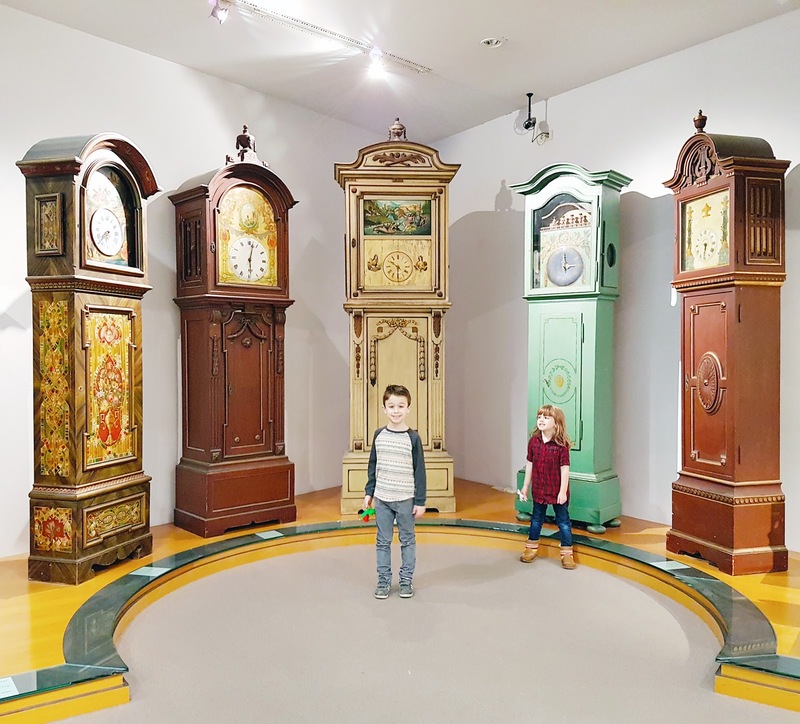 Lovely grandfather clocks down in the demonstration area. Compilation of short videos from the museum, and a fair warning, it is LOUD at the end! 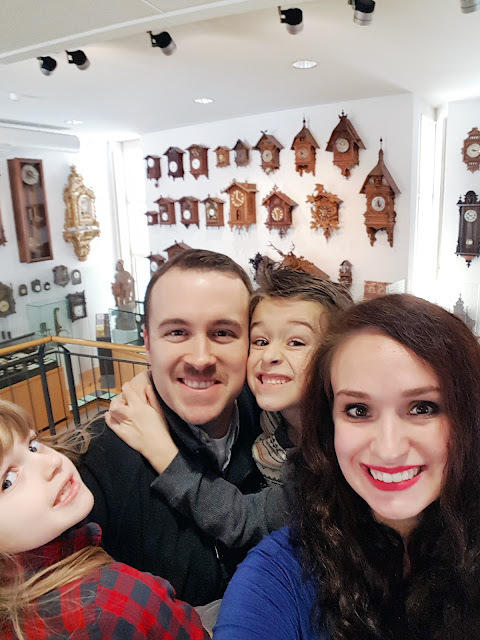 Our family at the German Clock Museum on Sunday February 19th 2017. 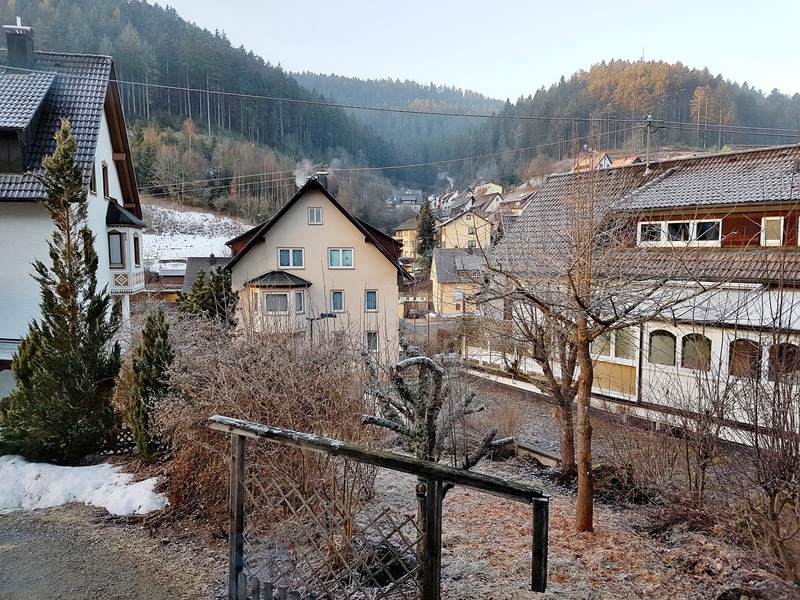 Then we went and picked out a traditional cuckoo clock in Triberg - recap coming next! 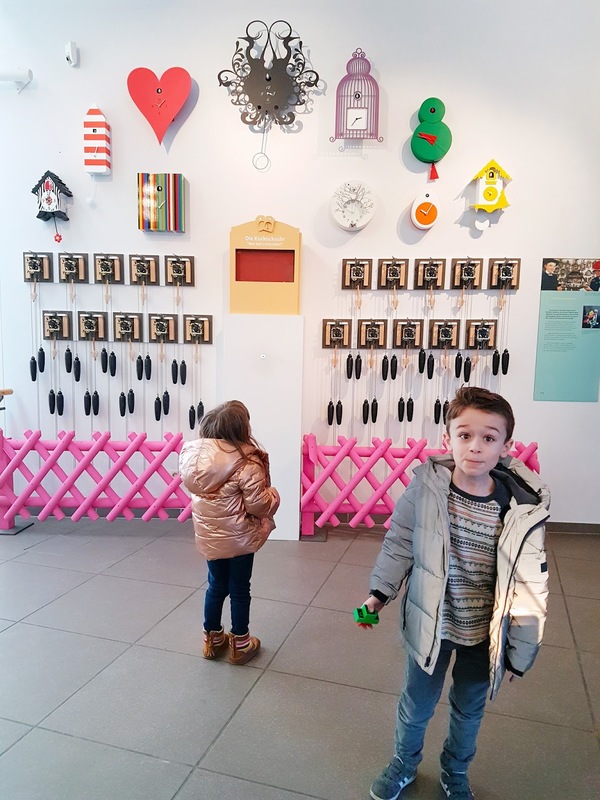 This is such a fascinating museum! Thanks for taking the TIME to share! Love it!